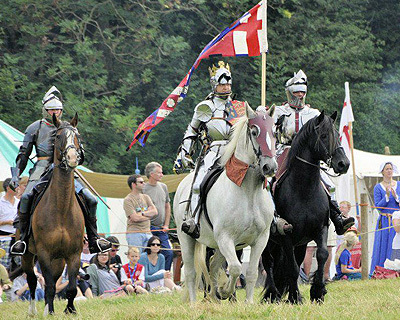 Destrier has a long tradition and extensive experience in providing cavalry for battle re-enactments. 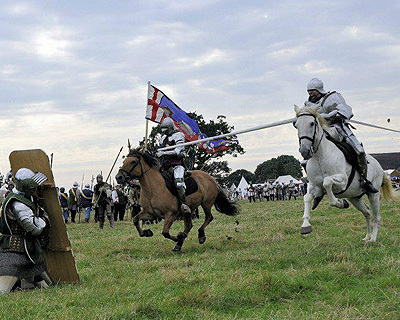 Each of our knights is equipped to fight, whether in tournament or in battle, where their martial skills, honed in peaceful competition, can be applied. 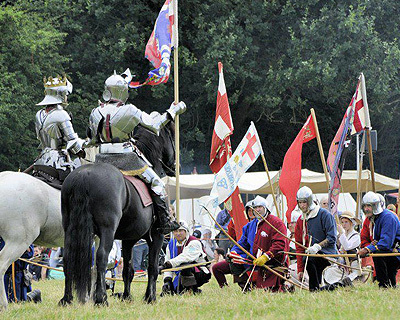 Portraying royal commanders in the field is easily accomplished with our knights in their splendid armour, as seen every year at the re-enactment of Richard III's charge at the Bosworth Battlefield Heritage Centre. 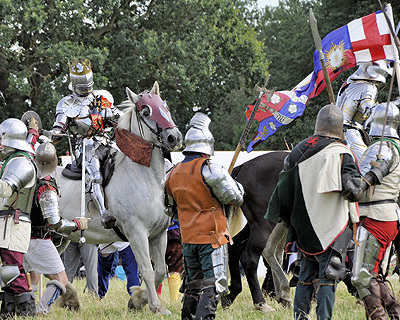 Imagine the majesty of a 15th century battle commander in fine harness, mounted on his Destrier while addressing his troops before battle, his banner bearer by his side. 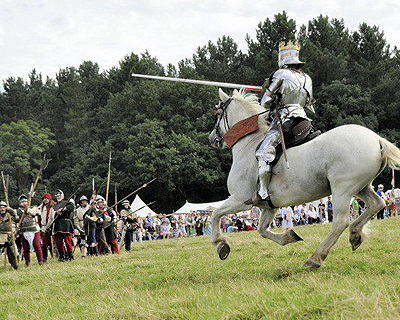 Feel the ground shake as a wedge of mounted knights charges past you, lances at the ready. Hear their weapons crashing into their opponents on foot and on horse. 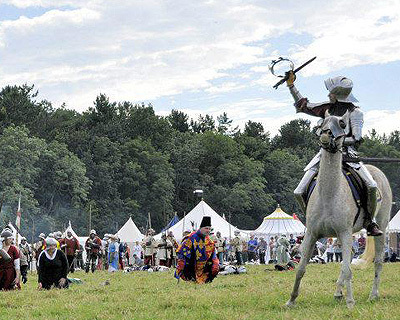 Witness them throwing away the remains of their broken lances, drawing axe, hammer, mace or sword as they turn their horses about to engage again... Destrier displaying the medieval knight in action is a sight few onlookers will forget. 'Destrier' is a registered trademark. All rights reserved. All articles and images are copyright to Destrier. Please contact us for use of images.